La Zulu est une voile expert. Aerodyne’s hot 9-cell wing. 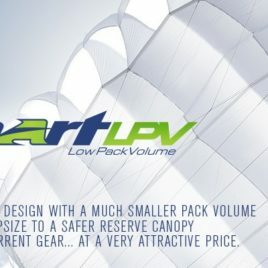 A true high performance non-crossbraced canopy, aggressive and nimble with positive reliable on-heading openings at a reasonable 9-cell price. 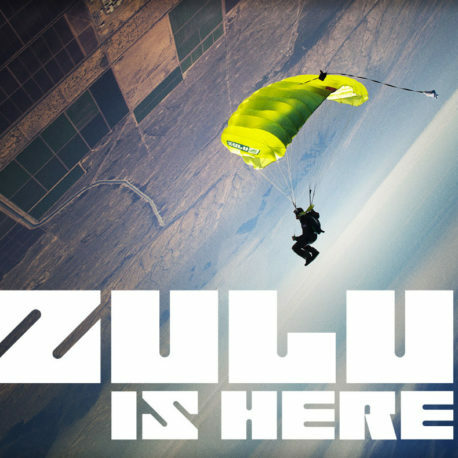 It was designed using Computational Fluid Dynamics (CFD) simulation software using sophisticated aerodynamic principles to create a versatile high performance aerofoil.With the ZULU, the canopy pilot gets consistent and positive on heading openings. It is elliptical at both the nose and the tail, with a tapered wing, and it is highly responsive to toggle, riser, and harness input. Like a great sports car or an aerobatic airplane, it does exactly what it is told to do. The ZULU does not exhibit the temperamental nature of some high performance canopies which can be prone to radical openings and oversteer. 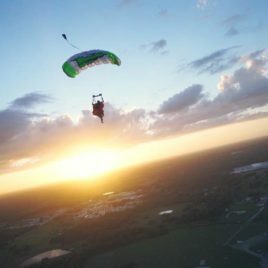 It is a parachute that is easy to fly with precision. With that said, it is a performance canopy and not intended for the inexperienced canopy pilot. 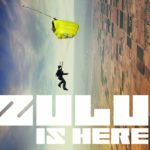 The more experienced skydiver will appreciate the ZULU’s capabilities and should be prepared for the exhilaration of a canopy that can make your heart pound as you put it through its paces. 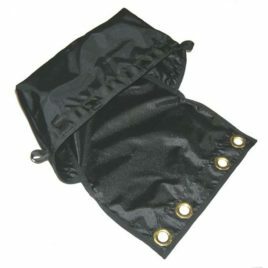 The ZULU is a well-mannered high performance canopy and is suitable for many disciplines. 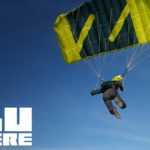 Our test team made hundreds of jumps on ZULUs which included wingsuiting, big way, and camera jumps.We selected a pool of expert test pilots and did exhaustive head-to-head comparisons with the leading parachutes in the same class. The ZULU emerged as the preferred canopy among the test pilot group. With test wing loadings ranging from 1.3 to 2.2, the ZULU was stable in all conditions, and it exhibited great control response with brakes stowed. 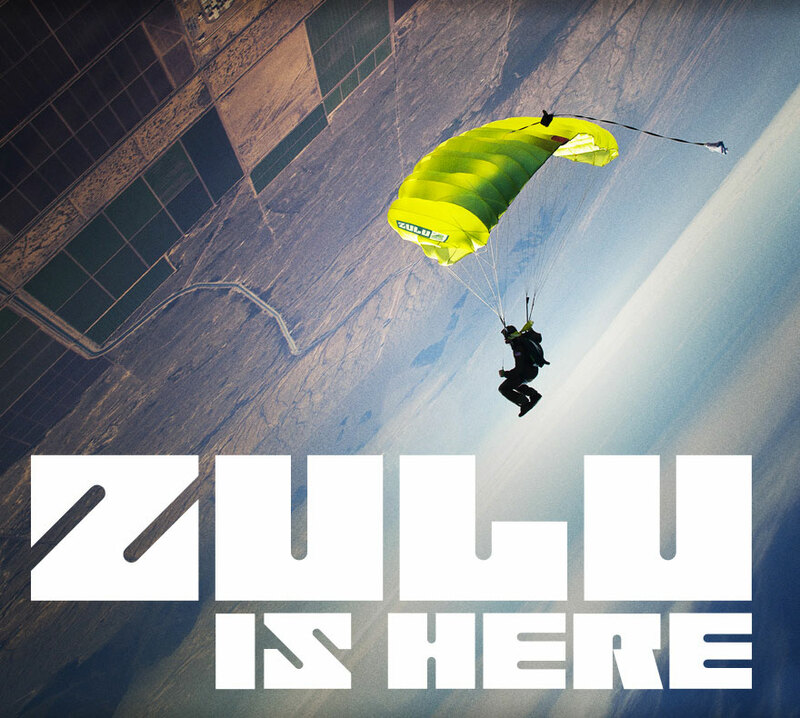 The electronic monitors calculated the Zulu’s best glide of 4.26 to 1 as the highest canopy glide ratio in the class. At the same time, the ZULU turned and dived more aggressively than the other canopies, showing both a greater increase in speed and carving through more altitude in a 360° turn. 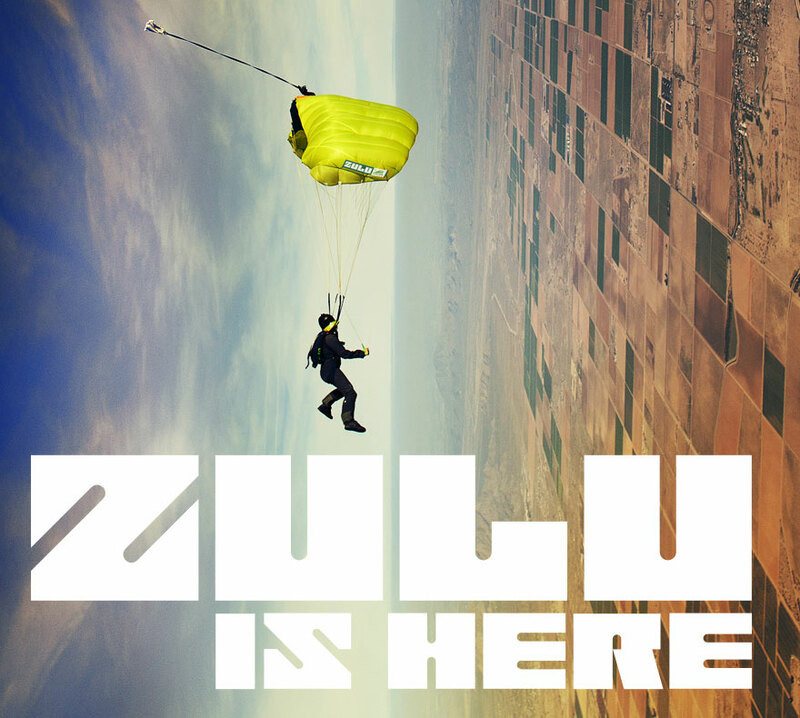 Along with the all-new ZULU aerofoil, we have developed an all-new premium line type, a highly ordered structured thermoplastic polymer, the new ZLX. You will be impressed by the soft and supple feel of the line, which is not as brittle and abrasive as other high performance lines. It has shown us remarkable strength and endurance in a year of jump testing. It maintains the feel of the line over hundreds of jumps without pilling like some lines can show over time. It provides no shrinkage and a longer life than lines currently available in the market. The ZULU will come standard with the new ZLX 700 lines.In addition, the ZULU will be available with a removable slider as an option. This is an Aerodyne design, with high grade stainless steel custom hardware. By removing the slider, you will allow the risers to open wider, flattening the wing for optimum performance. Our slider is a simple and elegant design, easy to use, and very secure.